Online dermatology saves lives – what is the cost? Next time you have a gut feeling something is wrong, it might be worth the convenience and the small cost. One year ago Ricardo from San Francisco reached out to us – he wanted to thank us, because he thinks we saved his life. 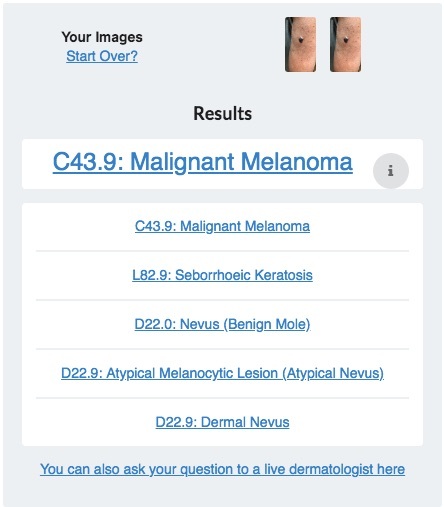 He used our First Derm service, with just two clicks and a few hours later he got an answer from a board certified dermatologist with the answer malignant melanoma, the most aggressive form of skin cancer. He was recommended to see a dermatologist in person as soon as possible. The follow-up analysis confirmed malignant melanoma in situ – an early stage malignant melanoma. The early detection could potentially have saved his life. You can read Ricardo’s full story here and it is just one of many we hear about every week. 95% that have malignant melanoma diagnosed at an early stage are cured. The First Derm service is a telemedicine service focused only on online dermatology (medical term is teledermatology) and only board certified dermatologists review cases. It is a simple, fast and in-expensive service. Prices starts at $29 for an answer within 48 hours, $39 an answer within 24 hours, and for $59 you have an answer in less than 8 hours. The service covers all sorts of skin concern (skin, hair, nails and embarrassing issues). The 63 year old anonymous male user (picture above) used our service on a growing mole on his leg. He decided not to pay for the service and unfortunately he did not receive an answer from our dermatologists with the recommendation to see an in-person dermatologist urgently. The case was discovered as part of our monthly audit, where two of our dermatologist confirmed that the lesion looked possibly like a malignant melanoma. We used our artificial intelligence on the lesion and it also suspected it to be a malignant melanoma. Telemedicine provides clinical health care from a distance using telecommunication and information technology (the internet). It is used to overcome distance barriers and to improve access to medical services that would often not be consistently available at the time.  It is also used to save lives in emergency situations and give a quick assessment on what the health condition could be and what next steps to take. Only 19% of Americans used a telemedicine service in 2017 and it is not growing according to a recent survey. Dermatologists prefer teledermatology store and forward consultations (asynchronous) and not video consultations (synchronous). The reason for this, is that a dermatologist can make around $2000-$3000 a day in clinical practice and a video consultation takes too much time. The disadvantage with a video consult is that it takes on average around 12 minutes, they have to be present at the same time as the client and they need to be dressed as a doctor. With a store and forward teledermatology service, they can answer any query whenever and anywhere, on their own time. If they do not know what is in the picture, they can let another dermatologist review the case. The dermatologists have been background checked and are all board certified dermatologists, they have done a teledermatology test and they are audited on a monthly basis. Is there an alternative to not paying? We would always recommend to pay a dermatologist for a prompt answer on what to do next. It will give you peace of mind and it can possibly have your life. If you are not happy or you have follow up queries, there is always someone at [email protected] to help you. In many cases a second opinion from another dermatologist (free of charge) can resolve any concerns.